​Bacopa monnieri: Bacognize vs. Synapsa - Which Ayurvedic Herb Is Best For You? Commonly known as the waterhyssop or brahmi, Bacopa monnieri is a creeping herb that is commonly used in Ayurvedic medicine. In traditional medicine, Bacopa monnieri was used to support longevity and cognitive abilities, and those general uses still maintain today. Bacopa monnieri is also considered an adaptogen supplement, meaning it may help support healthy stress levels. Bacopa mainly operates by supporting neuron communication by increasing the growth of dendrites, or your nerve endings. This has ultimately been shown to increase the rate of communication in your nervous system. Studies also show that Bacopa monnieri interacts with your body’s production of dopamine and serotonin, two neurotransmitters commonly associated with temperament and motivation, among other physical and emotional processes. Due to the fact that Bacopa Monnieri produces its memory enhancing effects, its effects upon memory usually take up to 4-6 weeks to develop. However, before the memory effects kick in, one may enjoy the benefits of its calming, focus-promoting effects. As a nootropic supplement, Bacopa extracts come in several patented formulas. Two of the most popular patented Bacopa extracts include Bacognize and Synapsa. Let’s take a closer look at these two Bacopa extracts and how they compare with one another. Synapsa, also known as CDRI-08 or KeenMind, is a standardized extract of Bacopa monnieri developed by the Central Drug Research Institute (CDRI) in India and distributed by PLT Health Solutions. The CDRI is responsible for the bulk of all research that has been done on Bacopa monnieri and Synapsa was created as a standardized Bacopa extract that adequately reflected each individual component in Bacopa monnieri. Due to this, most scientific research on Bacopa has used Synapsa, since it is a consistent and well represented Bacopa monnieri extract.The details on the extraction process for Synapsa isn't entirely clear, since most of it is hidden behind its patent. From what is known, it is a fairly specialized hydro alcoholic extract that uses Bacopa monnieri stems, leaves and roots, harvested at a specific point in time in order to optimize its Bacoside content. Synapsa is a 25:1 extract meaning that 25 kg of Bacopa monnieri is used to produce 1 kg of Synapsa and it is standardized to 55% +/- 5% Bacosides. It also looks like the extract was designed to preserve all of its natural components, while achieving the highest concentration of Bacosides possible. This assumption is based on the fact that the CDRI states that the other components in Bacopa monnieri , such as its alkaloid fraction, may increase the bioavailability of the Bacosides, despite not having much biological activity in and of themselves. In studies and documents relating to Synapsa, it is often referred to as a ‘Bacoside Enriched Standardized Extract of Bacopa’ (BESEB CDRI-08). In the patent on CDRI-08, it also mentions that the extract made can range from 15% Bacosides all the way to 85% Bacosides. This makes us think that multiple extracts are being combined in order to ensure a high standardized Bacoside content (55% +/- 5%), while also preserving all of the other compounds naturally present in Bacopa monnieri. Specifically, we think that the 85% Bacoside extract is being blended with the lower Bacoside extracts in order to always standardize it at 55% +/- 5% Bacosides while also preserving the content of the other components in Bacopa monnieri. A trial in 2002 showed improved memory retention in participants when taking Synapsa Bacopa. In its most recent study in 2012, a Synapsa supplement was found to improved decision making and information processing in subjects participating in multitasking activities. Bacognize is a more modern take on a Bacopa monnieri extract, produced by Verdure Sciences, the same company that brought us Longvida, which is one of the most revolutionary Turmeric extracts currently on the market. Whereas the CDRI produced Synapsa, with the intent to produce a full spectrum Bacopa monnieri extract with the highest possible amount of Bacosides, Verdure Sciences took a more selective approach. In preliminary research, it was shown that various Glycosides contained in Bacopa monnieri bound to specific Serotonin receptors, such as the 5-HT1a, 5-HT2a and 5-HT3a receptors, which all play a major role in cognition. Using HPLC methods, Bacognize was carefully extracted from Bacopa monnieri Aerial parts with ethanol, in order standardize for the highest amount of Serotonin Active Bacopa Glycosides, which Verdure Sciences named SABG’s. The SABG’s are responsible for the bulk of Bacognize’s cognition enhancing effects, however, in contrast to Synapsa, it also has more supporting effects on mood. Specifically, Bacognize may be fairly calming. Bacognize’s benefits are also backed by numerous studies and research. In one randomized, placebo-controlled trial, older adults showed improved working memory, focus, and attention when taking Bacognize extract. In an open trial of elderly adults, participants who took Bacognize were found to score significantly higher in attention and language tests compared to baseline. Both Bacognize and Synapsa offer similar general cognitive benefits, mainly because they are both extracts of Bacopa monnieri. Both of these Bacopa supplements offer numerous ongoing studies to ensure safety and effectiveness. Both also have proprietary processes and high standards for extraction. The extraction process for Synapsa aims to extract the highest amount of Bacosides while still maintaining the full spectrum of Bacopa bioactives, whereas Bacognize is standardized for SABG’s (Serotonin Active Bacopa Glycosides). Whether you choose Synapsa or Bacognize, you are assured a quality Bacopa supplement. In terms of effects, Synapsa has been shown to be particularly helpful for those in multitasking environments, while Bacognize offers more general support involving mood and memory. 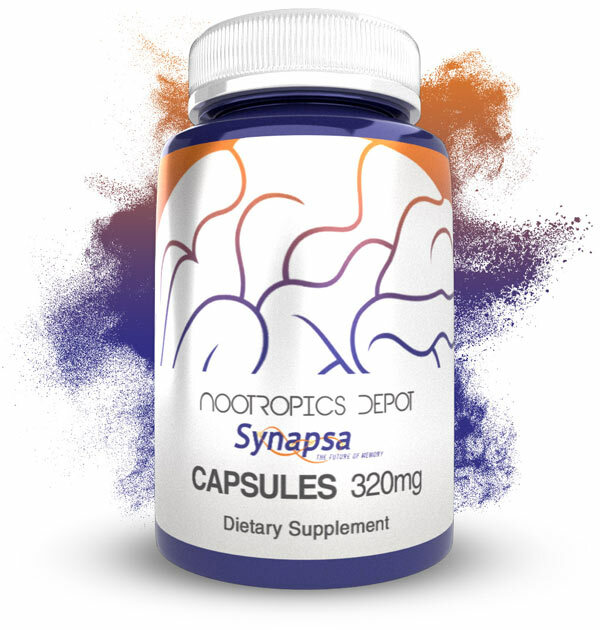 The main distinguishing feature between Synapsa and Bacognize, is that Synapsa is ‘cleaner’ in its effects, due to the fact that it supports memory and cognition without many additional effects. Bacognize on the other hand is more calming but this sometimes comes at the cost of lethargy. Due to this, Bacognize is great for people who are a little bit on edge and are seeking mood support. Bacognize can also be used for sleep support that improves memory “overnight”. Synapsa on the other hand is more suitable for use during the day when you are after a general support of cognition and mood that isn’t going to cause appreciable lethargy. The effects of any one nootropic differ from person to person. 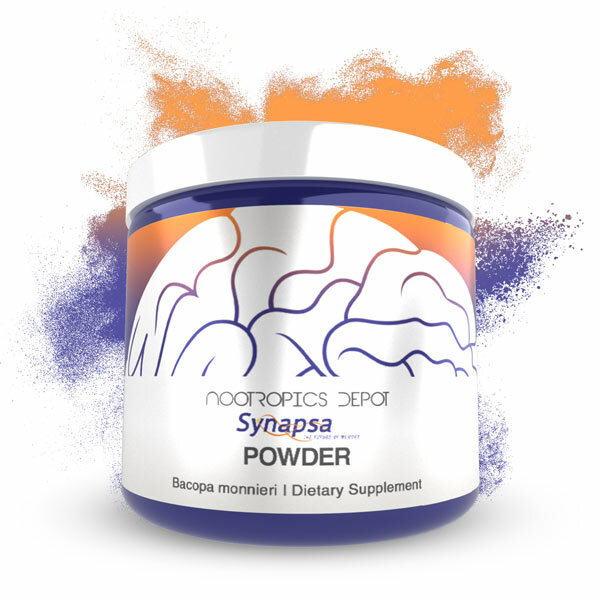 If you are considering trying Bacopa monnieri, Nootropics Depot offers Synapsa in powder or capsule form and Bacognize in powder and capsule form.